Dr. Coleman opened the Pet Medical Center of Pasco (formerly Coleman Veterinary Clinic, PS) in July of 1978. He practices integrative veterinary medicine blending conventional western medicine with alternative and complementary (holistic) therapies. Dr. Chuck enjoys seeing cats, dogs, exotic and avian patients. He is an Animal Chiropractor, certified by the American Veterinary Chiropractic Association. Dr. Chuck enjoys spending time with his wife, Julie, his grandkids, and tinkering in his shop. He has two dogs, Jovi and Bryn, two cats, Ernest and Violet, and a tortoise, Mortimer. Dr. Todd W. Coleman joined our practice after graduating in May 2004. He is the son of Dr. Charles Coleman and a graduate of Washington State University College of Veterinary Medicine. Dr. Todd sees dog and cat patients. He brings to the practice a deep love and concern for the welfare of all animals. His dedication to the profession and his compassion for your pets will help to continue to assure that “Your Pet’s Best Health is Our Concern.” Dr. Todd has two dogs, Belle and Brioche (which he adopted from PMC’s adoption program). He enjoys spending time with family, and playing softball in his free time. 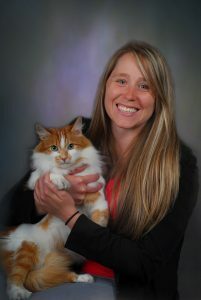 Dr. Stephanie Cleveland graduated from Oregon State University College of Veterinary Medicine in 2015 with a commitment to improve the quality of life of her patients and clients as well as strengthening the human-animal-bond. 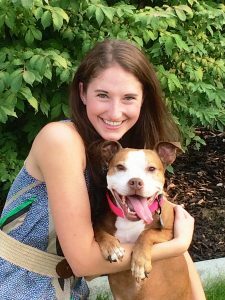 She uses a mixture of traditional and progressive methods to diagnose and treat dogs and cats, and is interested in pursuing training in acupuncture and chiropractic medicine. In her off hours, Dr. Cleveland often enjoys anything from exploring the many nooks and crannies of the world to spending an evening creating new food dishes with friends and family. Whether climbing a rock face, spaying a dog, managing a diabetic cat, or striving for the perfect cheesecake crust, she is dedicated to bringing happiness to those around her and she can’t wait to meet you and your best friend. Dr. Kristin Kontogianis grew up in Kennewick, Washington and returned to us after graduating from Washington State University College of Veterinary Medicine in 2018. She is a passionate animal advocate with a sincere desire to support the human-animal bond. She first built a relationship with the Pet Medical Center of Pasco when she adopted her dog, Reba Mac, from Benton County Animal Control as an undergraduate student at the University of Washington. Over the years, she developed interests in animal behavior, hospice care, and alternative medicine. Dr. Kristin is scheduled to be certified in small animal acupuncture in June 2018 and hopes to continue her education in this area. In addition to veterinary medicine, she loves skiing, snowboarding and figure skating. In nicer weather, she and Reba enjoy hanging out in the sun. She is so happy to be back in the Tri-Cities and looks forward to working with, and being a part of, the community again! Dr. Blair de Vries graduated from Washington State University- College of Veterinary Medicine in 2015. Originally from Spokane, she looks forward to exploring central Washington while continuing to enjoy all the Pacific Northwest has to offer. Within the profession, her interests include ophthalmology, oncology, and theriogenology (reproduction), but she is excited to expand her knowledge in other areas. When not participating in outdoor activities, she likes to read, cook, travel, row, and play basketball. Dr. de Vries and her husband have a herd of Jersey cows and a loving, albeit bossy, English Shepherd named Johnny Cash. Copyright © 2016 Pet Medical Center of Pasco. All Rights Reserved.